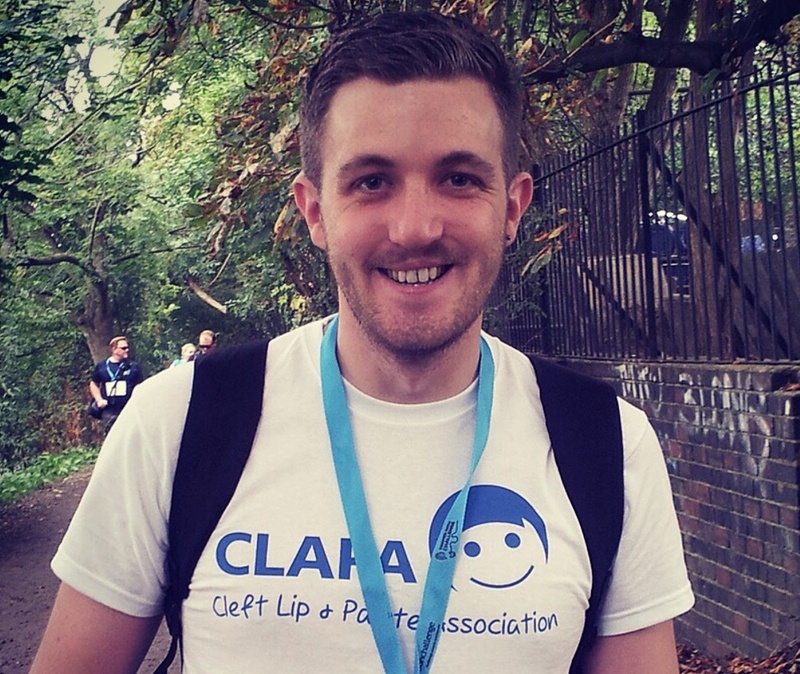 I’m Chris, CLAPA’s Volunteering Development Officer. I was born with a bilateral cleft lip and palate. 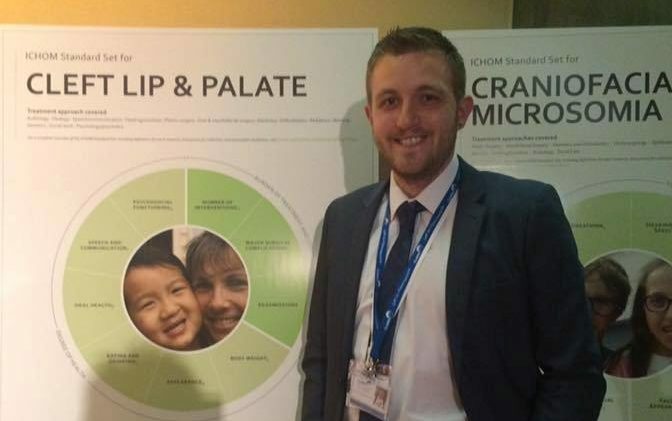 Some of you may be aware that I am part of ICHOM (International Consortium of Healthcare Outcome Measurement) who are an organisation that are looking at standardising what is measured in almost every known condition across the world – you can guess which one I’m in! I have been a part of the cleft lip and palate (CL/P) working group that developed the set and now steering committee for the past 2.5 years developing and implementing the standard set of outcomes that will (in the end) be used in every hospital around the world that deals with those patients affected by cleft. ICHOM have, to date, completed 21 Standard Sets equating to almost 45% of the total global decease burden!! The CL/P Set is being used in 3 hospitals in the UK – GOSH, Alder Hay and Oxford. The conference involved me speaking on 3 occasions about patient-lead outcomes, measurements and patient involvement. This was a great opportunity to talk about CLAPA and the work we do across the UK and indeed how CLAPA helps to improve the quality of life to all those affected by cleft lip and/or palate. The conference was a great opportunity to steer the conference back to why patient outcomes and involvement matters. 1: Never underestimate the power of telling your story. It cannot be argued with – it is your experience. It doesn’t need evidence, data or randomised controlled trials. Your story bypasses so many of the politics which hold treatment back. It lets everyone cut to the chase: if treatment is about doing no harm and improving outcomes, then treatment must deliver the care to people that they actually want and need. I was also able to discuss the idea of informed decision making – i.e. that informed choice is double-faceted because you need patients to know about two things: ‘information’ and ‘choice’. What information do patients need? What information is good quality? How does one make sense this information? Patients also need to know what a choice is, what choices are available and how information can be used to make well-considered choices. 2: As much as we need to teach patients about informed decision making, we also need to look for opportunities to teach health professionals to in turn teach patients to do this…(confusing I know – I had 3 days of it!). It is a mutually beneficial exercise. As an added bonus, I was able to talk about the importance of actively seeking and engaging with patient voice – these presentations were the perfect place in which to remind all about the value and relevance of listening to want patients want. So, CLAPA got a plug there – they already have an answer to a question which international counterparts are, hopefully, about to start asking themselves: if we want to deliver patient-centred care using patient reported outcomes, how are we going to capture and use the collective voice and lived experience of consumers? 3: Services and care providers need to embrace patients as lived experience experts as part of formal governance structures. At the end of the day it’s not that there aren’t any measurements – doctors are measuring the whole day – lab test, examinations – they do all these things during this process. But in the end, what is really important to the patient are not all the indicators that are measured, but the outcomes that somehow change their lives. These are things like, survival, recovery time, aesthetics, anxiety. In short, patients can tell many things like thoughts, complaints, opinions that technology or any observer can’t and which is actually more valuable. Further, in some conditions survival is not the ultimate goal of the treatment but quality of life also plays an essential role in the treatment – for example end of life care. If we report these outcomes back into the system and back to the patient we would have a totally different system which will result in providing more value to the patient than we see today. In my opinion, the most important things that matter to patients need to be standardised in order to compare these results around the world. My personal vision of cleft health care (or any other for that matter – as a former patient) and why this work is so important, is that patient outcomes need to become ‘the norm’ for health professionals to measure patient outcomes and to get outcome information across the whole cleft treatment process (as normal a measuring blood sugar in diabetics) and that every team is doing it the same way! Chris Williams (Volunteer Development Officer) – May 2016.